The Association advocates and firmly believes that knowledge and practice of family planning is a basic human right and an essential element of responsible parenthood, stable family life and positive contribution towards social harmony and national development. AIM and Objectives: 1. To advocate, promote and provide information, education and contraceptive services so that eligible couples may plan the timing of birth and size of their families. 2. To advocate and disseminate relevant information and education relating to family life education, family development, population, family planning and sexual reproductive health. 3. 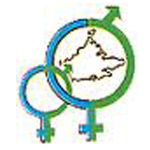 To provide services and treatment relating to sexual reproductive health, family planning and general physical health. Mission Statement: "Working towards making family planning a way of life for all families in social and economic development".